If you can read and write and are passionate about inspiring others to learn, you qualify for the title of "life changer." 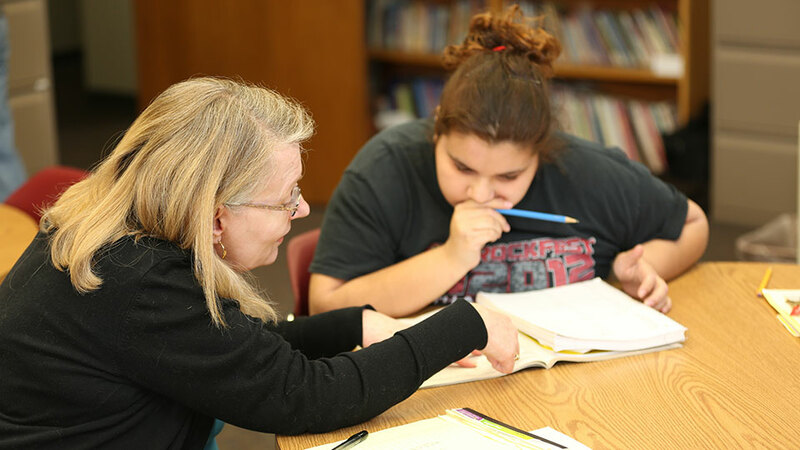 Volunteers at the Johnson County Adult Education (JCAE) program help people improve their reading, writing or math skills; earn their Kansas High School Diploma; or improve their English language skills. Even though Johnson County is considered one of the more prosperous and educationally thriving counties in the state, there are still more than 15% of residents who do not have a high school diploma, and eight percent do not speak English well. As a volunteer, you will work with students one-on-one or in small groups in one of JCAE's learning centers. Volunteers commit to volunteering three hours each week for a minimum of six months. Commitment and perseverance are essentials for both volunteers and students. As a volunteer, you can be instrumental in the success of the students you assist. Literacy volunteer orientations are held each fall and spring for anyone interested in becoming a JCAE volunteer. To find out more about how you can make a difference assisting JCAE students, call the JCAE volunteer coordinator at 913-469-7677 or the JCAE General Information Line at 913-469-7621. Sunday, Jan. 20, 1:30-4:30 p.m.